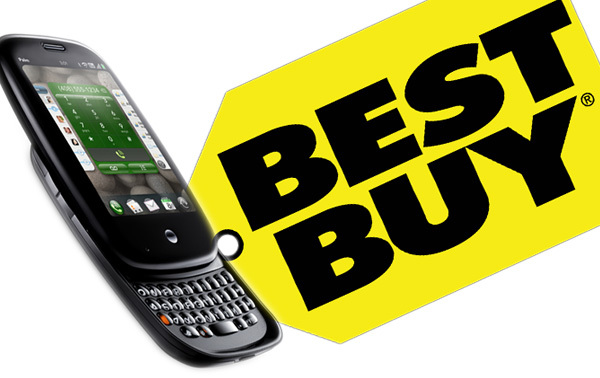 We've already reported that outside of Sprint stores, rumor has it that Best Buy will be the exclusive retailer for the Palm Pre in the US. Joe just sent in a tip that a mobile exec at Best Buy has confirmed that they're "holding talks to sell Palm's Pre Smartphone" but they're "not yet ready to announce a retail deal." As you might expect, Sprint is also in on the negotiations as well. Typically we're just sort of let this thing ride, but the fact that all three players here are still engaged in negotiations means that, well, as we said before, they're intending on making the Pre launch as big as humanly possible. Perhaps we might get more than just Sprint marketing dollars behind it, perhaps Best Buy will be pushing it as well?